By motor boat to the island Nosy Mangabe. 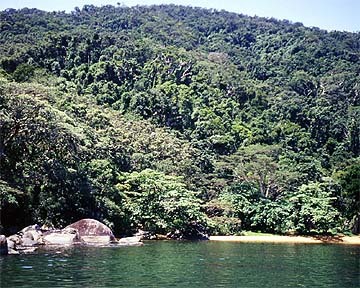 The small 520 ha rainforested island is located in Antangonil bay just 6 km east from Maroantsetra. 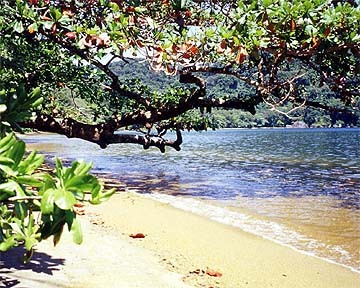 Not only the rainforest, the beautiful beaches make the visit memorable as well. 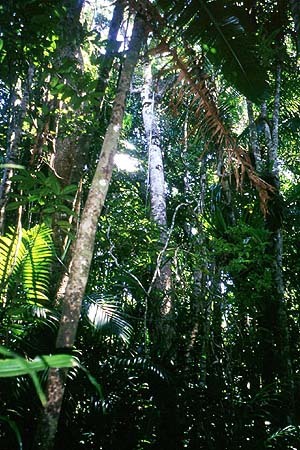 The uninhabitad island is covered by an intact primary rainforest a last refuge for endangered aminals like Aye-aye. 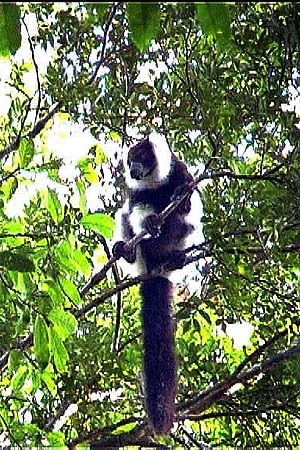 The only black-and-white ruffed lemurs I've seen although they are relative common in the eastern forests. The white fronted brown lemur is not shy at all. 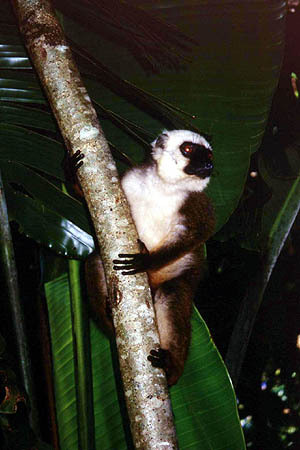 The most common brown lemurs can be seen even around the only camp on the island. 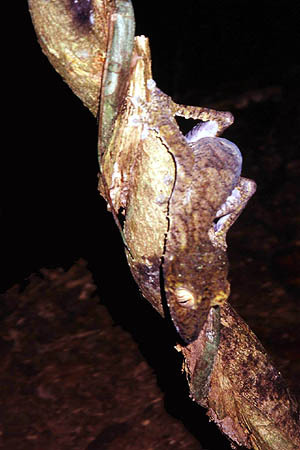 The night-active uroplatus gecko is hunting insects.